Having worked in Government Schools as a Gandhi Fellow, I have realized that library and books are either have no existence in these schools or they are locked in a box and kept in a corner of the store room. I remember my days as school goer when I didn't know English at all but going to library, browsing through books, specially the one with pictures, and reading them, helped me gain the art of expression. I was able to express my feelings, and opinions. Library and books gave words to my feelings. I strongly believe that when a child reads & sees pictures, he imagines. When he imagines, he discovers thoughts, feelings and thereby creates his own language. When he has language of his own, he builds a capacity to express himself. And when this happens to a child, he can do any subject because it's language that matters. 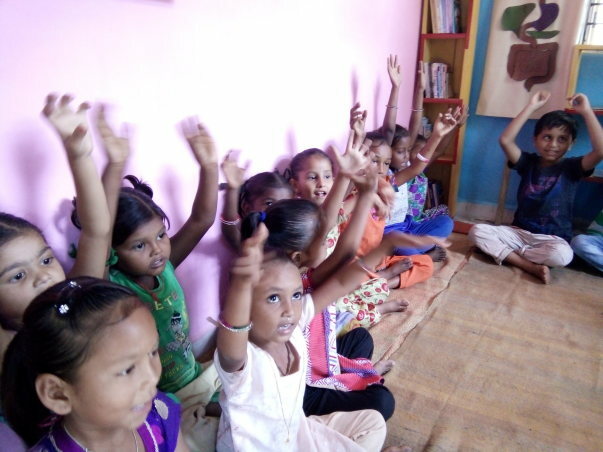 The funds raised through this initiative will be spent on setting up of Libraries across 35 Government schools in Choryasi Block of Surat District,Gujarat, each school to have Rs 5,000 to share from the contribution. 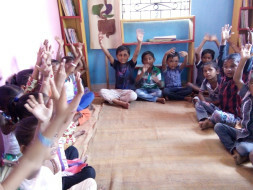 I already had set up a library during 'Community Immersion' Process of my Fellowship in October 2016 in Kapletha Primary School, Choryasi, Surat of which a few pictures are shared herewith. Now, I see a change. Library is doing wonders to kids. They are attracted to books. They are getting into the habit of reading & hence gaining vocabulary. They are slowly and regularly have started to learn better composition, paragraph writing and consequently, they are able to express themselves. This is wonderful and it has further strengthened my belief in the power of Library and books.I intend to raise this fund and start working on my "The Libray Project: पन्नों की परियाँ" as I name it by 28th Febuary 2016. A generous and kind support to this cause will be highly appreciated.